We acknowledge the financial assistance of the Province of British Columbia, the Highbury Foundation, KPMG Foundation, Lohn Foundation, and McCarthy Tetrault Foundation. Weekly instruction in elements of performing and visual arts helps students develop creative expression and self-confidence. Working in groups supports positive peer connections, while exploring creative expression and the creative process. This engaged program is available to priority after-school programs. This program fosters creative expression, self-respect, and teamwork through dance and theatre. Basic dance movements cover a variety of styles, including hip hop and contemporary, to help encourage fitness and coordination in a fun way. Theatre classes explore character creation with games, improvisation, and scene work. The basics of on-stage vocabulary and story-telling help build self-confidence and develop collaboration skills. This program is open to participants in the Kiwassa Children’s After-School program in the Hastings-Sunrise neighbourhood in Vancouver. 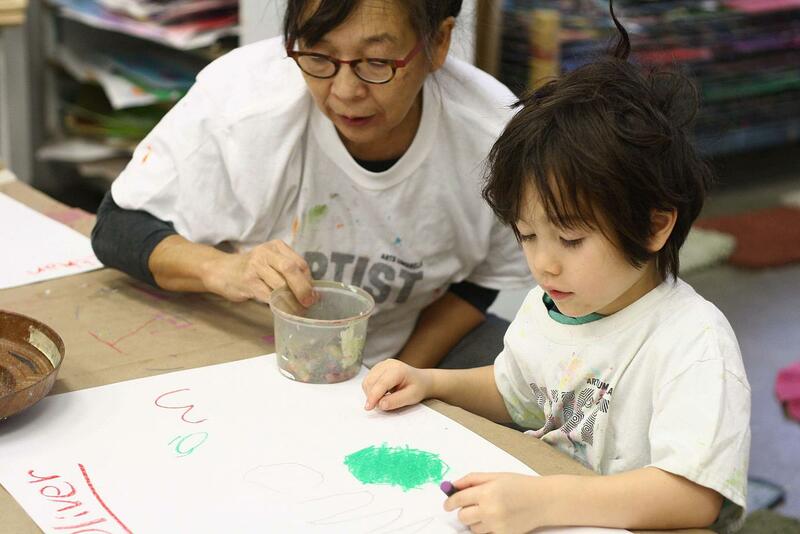 In partnership with BC Children’s Hospital and the Vancouver School Board, Arts Umbrella provides visual arts classes to some of BC’s most vulnerable children and teens. AU instructors access to the youth mental health unit at BC Children’s Hospital once per month at each the child psychiatric unit (ages five to 11) and youth psychiatric unit (ages 12 to 19) and teach various art activities. Fun and exciting dance instruction fosters balance, coordination, fitness, creative expression, and teamwork. Students learn basic dance movements in a variety of styles, including hip hop and contemporary dance. This engaged program is available to Grades K–5 students of Henderson Annex Elementary in southeast Vancouver. This program provides young learners with broad experiences in many artistic disciplines, allowing them to discover their interests. Through exploring different types of expression, the program supports children’s ability to reach age-appropriate developmental milestones. This eight-month program meets every week, and provides students with a safe environment to learn the basics of theatre. Elements of improvisation, movement, clowning, and storytelling give students tools to practice collaboration while enhancing self-confidence and self-expression. Each week, a nutritional snack is provided. At the end of the year, a public performance is held for family and friends. This program is open to students in Grades 3-7. Pacific Storm is a full year theatre arts program delivered to the Grade 10 Social Development Class at Britannia Secondary School. The Class offers a small, protected setting for students with severe emotional difficulties. The program introduces students to a range of acting games, exercises and mediums with the aim of increasing awareness of self and others. Activities may include improv, mime, stage directions, on-camera work, voice over, masks and clowning. Students have the opportunity to explore, play, perform and socialize. The goal of the program is for students to gain an increased awareness of themselves and of others, and have a positive experience being included as part of a Theatre team, supporting and relying on each other. The Focus Foundation of BC offers a variety of support services for youth, city-wide. This weekly program provides a fun and safe environment for students to develop self-expression skills through visual, media, and performing arts. The basics of drawing, painting, media arts, and theatre help students discover new interests and methods of expressing their own ideas through art. This engaged program takes place at Whytecliff Agile Learning Centre in Burnaby.